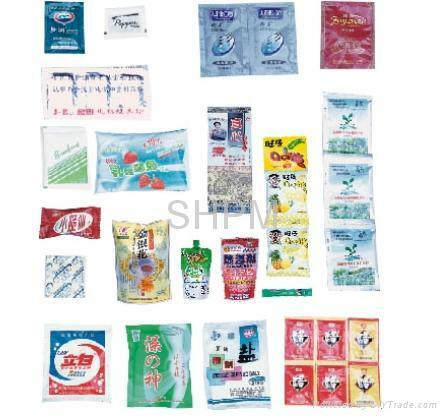 Powder kind: Milk powder, bean powder, condiment, humid pesticide powder, etc. Various Laminate Film，for example: Polypropylene/Polythene，Polyester/Aluminium foil/Polythene，Polyester/Aluminium-plating/Polythene, Nylon/Polythene，Polyester/Polythene，etc. 1. It is PLC-controlled with touch panel and digital display to achieve reliable and easy operation. 2. 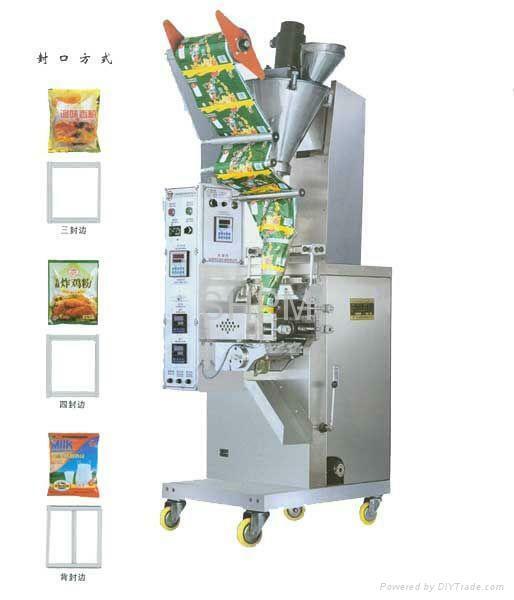 Step motor is applied in bag-making system with high precision. 3. With automatically intelligence tracking system, it can get rid of fake color mark, self-positioning and length-fixing automatically. 4. Horizontal and vertical sealing device achieves sealing respectively. 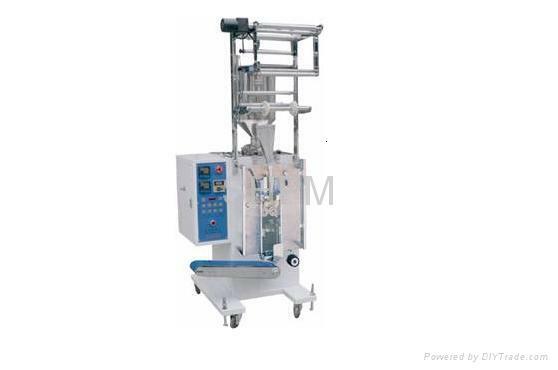 Bag-pulling and rollers are between horizontal sealers and vertical ones. 5. Cutting while sealing. NO breaking. 6. It is equipped with side-opening shield and paper-conveying is controlled by detecting mechanism of third class. 7. With electric calefaction mechanism, the temperature is controlled intelligently. 8. Filling and measuring mechanism is new entirely. 1. 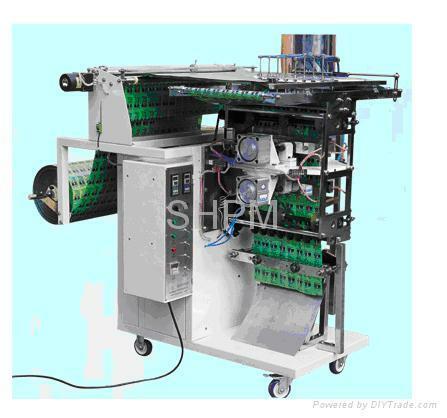 The above machine may be equiped with hot stamp imprinting machine. 2. It is choice to be shaking matter-delivering mechanism. 3. 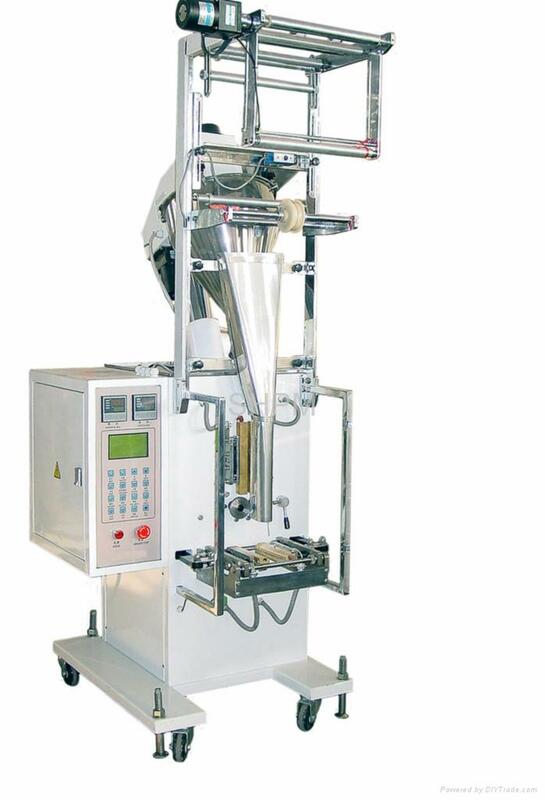 The machine that has special bag-size or measuring requirement can be devised and produced specially.